But none can outrun or equal... the power...of Whit-ta-ker? 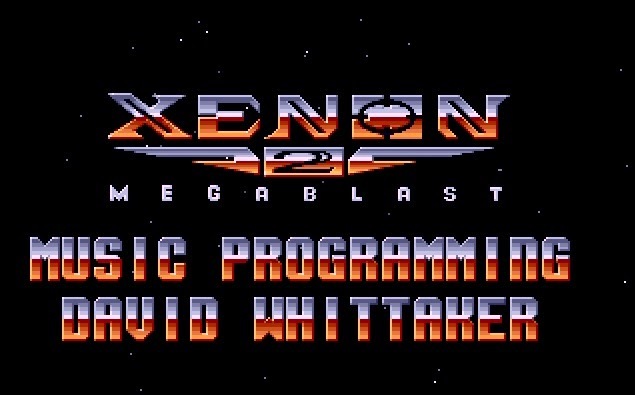 As promised, I'm now taking a bit of time to talk about another video game composer who was responsible for converting Jeroen Tel's superb Supremacy: Your Will Be Done or Overlord soundtrack to DOS and his name is David Whittaker. If you're a DOS/Windows gamer like me, you probably wouldn't have heard most of David's music since he primarily worked in the 80s and early 90s on "other" PC platforms such as the Commodore 64, Atari ST, Amiga, MSX and ZX Spectrum (quite a versatile guy!). There's a very good reason for David's technical aptitude though because he started off programming games before he made the switch to focusing on music. David was born in England in 1957 and when he was in his 20s he started to get involved in programming games and composing music on PC. Inspired by bands such as Jean Michel Jarre, Kraftwerk and 80s synth groups, they would strongly influence the music he composed. In 1983, David's first PC game (for the Commodore 64 and MSX) was published, a Q*bert clone called Humphrey and he would follow this up with probably his most famous work, Lazy Jones in 1984. I say "famous" not because of its revolutionary gameplay (it's a game that consists of several retro games, even by 1980s standards) but probably because of the infamous, but hugely popular, 1999 dance track by Zombie Nation called "Kernkraft 400" which sampled music from the game without David's permission. Apparently Zombie Nation settled with David for an undisclosed sum but he was obviously not too impressed. However, if anything it demonstrates just how damn good his music was for it to be remixed over a decade later and to be made into a hit (at least in Europe). David voluntarily got out of the freelance music scene in 1993 when he started working for Electronic Arts on game audio: speech and dialogue in particular. He worked there for 8 years right up until 2001. David eventually moved back to England and started working at Traveller's Tales in 2004 as Head of Audio. Since that time he's been busy working on all those Lego games the company is most famous for. So while David isn't apparently composing any music any more, it's good to see he's still involved in the gaming industry in some shape or form - most recently he was credited as Head of Audio for 2014's LEGO The Hobbit. And that's it from me on this Christmas Eve. I wish all my loyal readers a Merry Christmas and a Happy New Year!